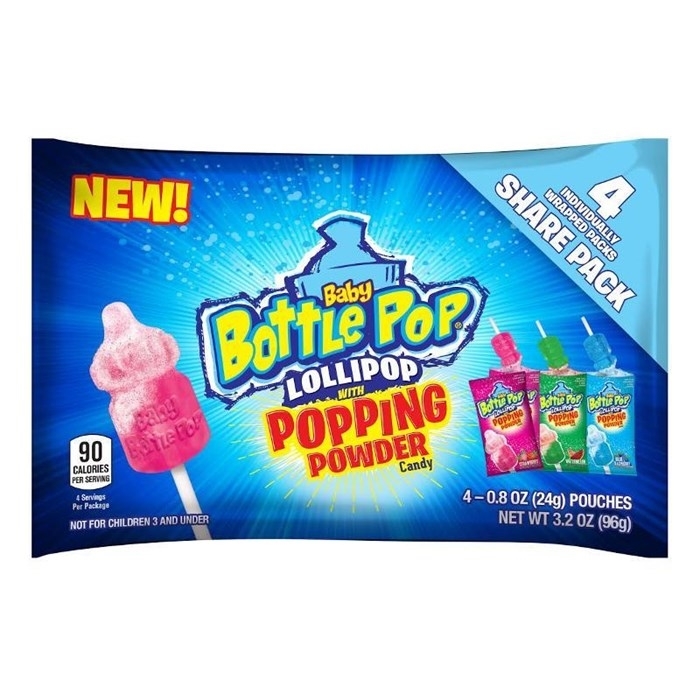 NEW Baby Bottle Pop Lollipop with Popping Powder. 4 - .8oz individually wrapped lollipops with powder in each bag. 12 bags per box. Share this new item with a friend!